The leader of Kwara’s crumbling dynasty has reportedly conceded defeat even as he urged his party to fight to the finish, apparently hoping for a political miracle in the gubernatorial and state assembly elections this Saturday. The margins of defeat from the February 23 elections are indisputable just like the resolve of the electorate to break away from the past; a past characterised by cronyism, ineptitude, deceit and profligacy. For over four decades, the Saraki political dynasty has held sway dictating who gets what in Kwara State. The patriarch of the dynasty, Dr Abubakar Olusola Saraki, was very popular among his people due to his politics of inclusiveness. He consistently shared in their pains and joy. This perhaps led to his election into the upper chamber of the Nigerian National Assembly and his emergence as the leader of the Senate in 1979. From 1979, Saraki installed civilian governors of Kwara State, namely Adamu Attah, Cornelius Adebayo, Sha’aba Lafiaji and Mohammed Lawal who ruled from 1999-2003. In 2003, he fielded his son Dr Bukola Saraki who won two terms as governor. Bukola led the affairs of the state from 2003-2011 before installing his crony, Abdulfatah Ahmed, as his successor. The younger Saraki, prior to the demise of his father about a year later, had taken over the leadership of the dynasty and was already dictating affairs of the state. Henceforth, he consistently deployed huge resources to win all elections in the state for his party and candidates. The last of such polls was the 2017 local government election which appeared largely manipulated in his favour. 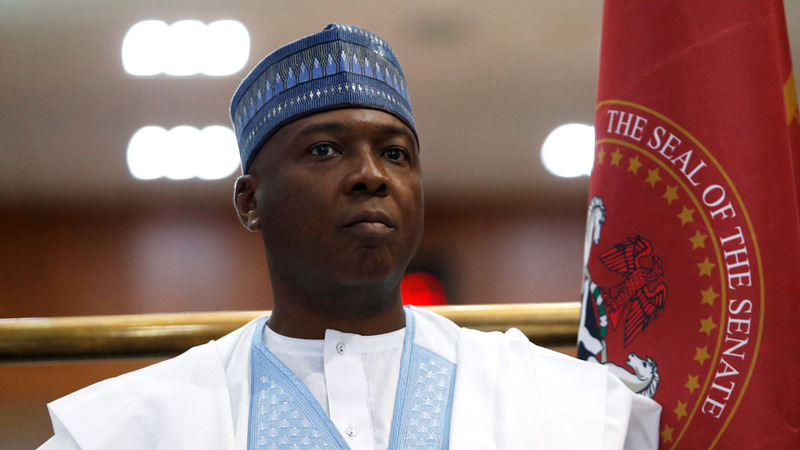 Less than two years later, Saraki and his candidates surprisingly tasted defeat for the first time in the February 23, presidential and National Assembly elections. The defeat of Saraki in his bid to return to the Senate was excruciating, signaling the end of the dynasty. He lost the election with an unimaginable margin. Flying the PDP flag, the seemingly invincible Saraki lost in all four local governments (Asa, Ilorin West, Ilorin South and Ilorin East) that make up his Kwara Central senatorial district, scoring 68, 994 votes as against 123, 808 votes garnered by his main challenger, Dr. Ibrahim Oloriegbe. The Senate President not winning his own seat is a big deal. He was simply run out of town. Though the election may have been won and lost, the questions political pundits have been asking is how did Saraki lose this election to the APC candidate he defeated in the same contest in 2011? The answers are not far-fetched. They are located in a dismal record of performance; Saraki acting as a thin god; re-cycling discredited politicians and the frustrations of an enlightened electorate encapsulated in the phenomenal slogan: O to ge. The outgoing administration of Governor Abdulfatah Ahmed has been eight wasted years of misrule, characterised by infrastructure deficit, disregard for welfare of workers and several unfulfilled promises. Like his immediate predecessor, Ahmed’s government succeeded in impoverishing the people of Kwara further. Local Government Council and State Universal Basic Education Board workers are owed salaries while pensioners are also owed their gratuities. Many Kwarans are wont to rue the slow pace of infrastructural development, particularly in the last eight years. Prior to his defeat, the Senate President believed he had Kwara in his grip and that the state is impregnable for any challenger on the political turf. Preferring to dominate the scene, Saraki deliberately avoided picking popular candidates for elections. He held the fortunes of the state hostage for the last 16 years but Kwarans have had it all; the elastic limit of patience and suffering was overstretched here. Another undoing of Saraki was his preference for consistently appointing same set of self-centred individuals into government positions. Some of them have been in government even before Saraki became the governor with no traceable impact in government and their community. He preferred these set of people based on their loyalty to the dynasty and not for their competence or performance. It was therefore not a surprise that virtually all Saraki’s foot soldiers were defeated at their polling units. For several years, many Kwarans especially the aged and unemployed youths were satisfied with receiving handouts from the dynasty in the name of empowerment. Not anymore as people of the state have now realized that there is heavy prize to pay for every plate of food or N1,000 worth Ankara they received from the politician. The O to ge slogan, translated to mean ‘enough is enough’, was a masterstroke that resonated among the electorate and it became very popular through various radio programmes. It was a ‘quit notice’ to the Saraki dynasty that has brought untold hardship on the people of the state. For all those who have been following events in the state, the Saraki dynasty has won elections when it enjoyed the ‘protection’ from the government at the centre. That was not so in 2015 as it rode on the popularity of Muhamnadu Buhari to triumph over the opposition. In 2019, Saraki had no federal might. The heavy security presence, effective check of political thugs, re-deployment of INEC officials and security agents he consistently influence with his deep pocket meant Saraki had no machinery to manipulate the outcome of the election. The April 5, 2018, Offa bank robbery incident is one sin many Kwarans will for many years hold against the present administration and Saraki. Not that anyone is accusing Governor Ahmed and Saraki as the perpetrators, but it is believed they created the environment for such dastardly act. Ahmed, as the chief security officer of the state, paid kid gloves to the issue of security, especially outside Ilorin, until the bloodletting incident that claimed about 33 lives, including nine policemen. He also failed to create employment opportunities for the youths in the state. They became easy recruits for cultism and robbery. Saraki appeared to have incurred the wrath of the people of Offa when he boasted on radio last December that he donated N10million to the families of the victims without minding the unquantifiable value of the 33 lives lost to the unfortunate incident. Going to the polls this Saturday, Kwarans appear so determined to nail the coffin of a parasitic political dynasty for good. The indices are constant and it’s a resolve for total liberation. •Abdulkadir wrote from Alore Quarters in Ilorin.